Documentary about the vanishing art of Indian shadow theater. Bonus cartoon and a great song. Indian shadow theater is not as well known as the Indonesian wayang-kit, but this is a tradition for many centuries, and in the different Indian States have their own unique varieties. 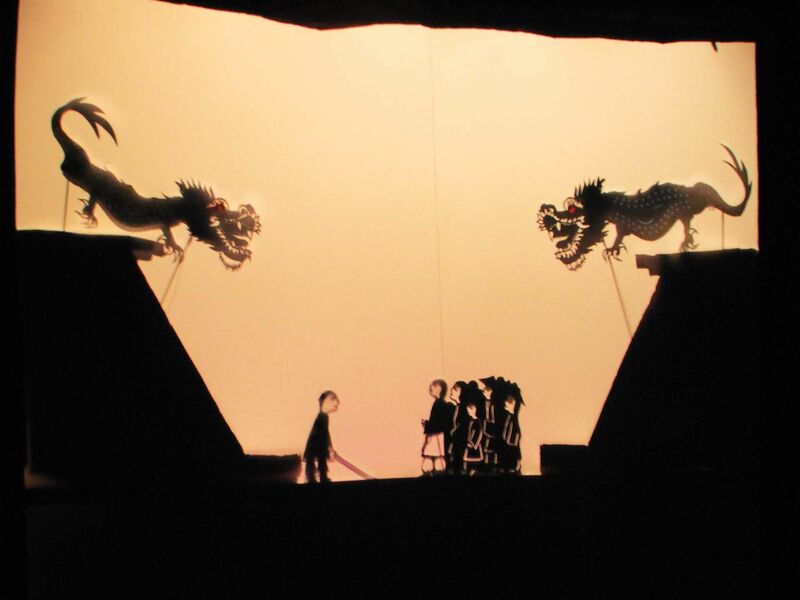 Shadow theater in Andhra Pradesh; Tolu-bombilate literally means something like “the dance of leather dolls” (formerly dolls were made from the skin of antelopes and deer, is now made from goat skin). It is distinguished by huge, about a meter in height, colored shapes, in which the puppeteers tell stories of “Ramayana” and “Mahabharata”. All the key members of the company are usually the heirs of family traditions. Kanda Ramadasu, the head of the troupe of this mini-film — master of puppets in the fifteenth generation. Show performances at local festivals or, for example, in the markets, and it looks like this. Cartoon, technology-Tolu-bombilate. The story about the Gazelle — from the “Panchatantra”, a Sanskrit collection of instructive stories. And here is how it was done: one hundred lamps, table two and a half to three and a half meters and dolls. The theater of shadows was formerly a temple of art, and this is particularly evident in the case of to pawn-kudu ritual, shadow theater of Kerala. Performances are shown only in temples in specially built halls; it is always full version “Kamba-Ramayana” — the Tamil version of the Ramayana. Involved in productions from 180 to 200 dolls, they last on average 21 days, nine hours a day (start in the evening and ends in the morning), but there is 70-day version. Not surprisingly, Tarawa-kudu first appeared on the brink of extinction: in 1991, Kerala had only two troupes. However, now the situation has improved slightly thanks to government grants and the fact that the troupe began to make short, on the hour, the export version (it would probably call them teasers) and to ride with them in European festivals. A documentary about the last palaver — master of puppets from Kerala, preserving the ancient art. Theatre of Orissa is very different from other dolls is small, monochrome, hands and feet do not move — stays to compensate for this expressiveness and plot twists. Oddly enough — one of the living species of the Indian shadow theater: the performances are often quite modern heroes. Clip on your favorite hare Krishna song from the Tamil film “Dasavatharam” (“Ten incarnations of Vishnu”), which can represent the look of the shadow theater performances in temples.